COLORADO SPRINGS — Even though Vector Launch filed a patent infringement lawsuit against Lockheed Martin, the Arizona startup is not eager to spend millions of dollars fighting the aerospace giant. Vector filed a complaint April 5 in the U.S. District Court for the Central District of California, alleging Lockheed Martin infringed on three patents related to GalacticSky, Vector’s software-defined satellite technology. Lockheed Martin declined to comment on the pending litigation. entrepreneur, founded three startups including CloudVolumes, a software company acquired in 2014 by VMware. Coleman, who met Jim Cantrell, Vector chief executive and co-founder, through their shared love of car racing, leads a team of 20 people at GalacticSky. Based in San Jose, California, GalacticSky focuses on the firm’s software-defined satellites, sales and marketing. 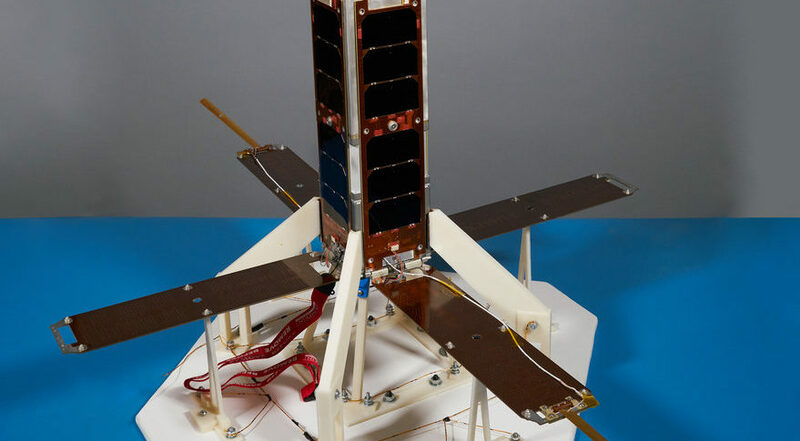 With GalacticSky, “you can skip satellite development and launch and upload your applications to a satellite,” Coleman said. Vector plans to launch its first GalacticSky prototype later this year. Production versions “are nominally scheduled to go up in 2020,” Coleman said. Vector was not aware of Lockheed Martin’s SmartSat software-defined satellite project until it was announced March 20, Coleman said. In the wake of the Lockheed Martin announcement, Vector sent letters to the aerospace giant. Lockheed Martin acknowledged receipt of the letters but did not respond to Vector’s concerns regarding patent infringement, Coleman said. As a result, Vector felt forced to file a lawsuit to protect its intellectual property, Coleman said. “We are a small innovative company. We came up with this idea first but Lockheed Martin can out-execute me every day of the week. We would much rather work with them,” he added. Vector also took offense when Lockheed Martin pulled an April Fools’ Day prank, announcing it developed a fragrance called Vector. Many publications including SpaceNews published April 1 articles about the fragrance. Meanwhile, Vector is plowing ahead with its campaign to begin sending satellites into orbit with Vector-R, its first launch vehicle scheduled to fly for the first time this year. The company also is developing a larger rocket, Vector-H. Vector announced in October it raised $70 million in a Series B funding round led by Kodem Growth Partners in conjunction with Morgan Stanley Alternative Investment Partners.